The aftermath of a divorce is going to be particularly hard felt during the holiday season. If this is your first Christmas apart, you may feel somewhat awkward about the festivities. 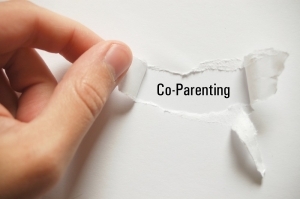 Having to co-parent during Christmas adds another layer of difficulty to the situation. Navigating the holiday season smoothly is possible if all of you are on the same page. Here are a few simple tips that you can implement to reduce the stress for both parents and kids. All of your decisions should be based on one simple thing – the need of your children. Think of your kids before getting in a conflict with your ex. Even if you disagree with a particular suggestion, you should go along if the children are going to benefit from it. The holidays will be stressful due to the changed family situation. Thus, you should start thinking and planning in advance. If you can get your ex involved in the process, you will reach a mutually-beneficial conclusion much faster. Avoid conflict in front of the kids. It’s best to meet while they’re at school or at their grandparent’s house. Don’t make kids choose a side or act as a messenger on your behalf. Be an adult and face your ex with an open heart and a desire to communicate. Remember that even the best of plans can fail due to unforeseen circumstances. Smooth co-parenting during the holidays requires a bit of flexibility. Let’s say your in-laws call and announce that they’ll be visiting town for one day. In such instances, you will have to change the schedule that you agreed upon with your ex so that the kids get to see their grandparents. Rearranging the original plan will be dependent on your willingness and a bit of cooperation on behalf of your former spouse. Nobody likes changing plans but holidays can be quite hectic. Goodwill gestures will pay off in the long run and they can lay the foundations of some solidity that everybody is going to enjoy in the future. Ambiguous communication, insults and half-spoken truths will only lead to tension down the road. If you want to be a responsible adult and a successful parent, you will need to communicate clearly and positively with your former spouse. Don’t assume that your ex sees your point of view. If you want to have the kids with you during a specific day, make that known. What’s even better is sitting down and doing a holiday calendar together. If the schedule is discussed by two people and written down, nobody can blame the other party for poor communication. The final tip focuses on the Christmas spirit. Remember that the holidays are a time for letting go of hurt and anger. This is your opportunity to move forward with kindness. If you want to have a friendly relationship with your former spouse, this may be the perfect moment for expressing this desire. Practicing kindness will be beneficial for you, your kids and your former spouse. Children are incredibly instinctive and they can pick up on the negativity and the hidden grudges. Try to let go of the anger, the bitterness and the disappointment. Even if you’ve gone through an ugly divorce, the time may be right to move forward in a much more positive and enjoyable way. Forgiveness will make you feel good and it will help you close the chapter in your life. Be thankful for what you had in the past and for the kids you created with a former partner. If you can acknowledge these positive aspects of the relationship that ended, you can become a happier and better parent. 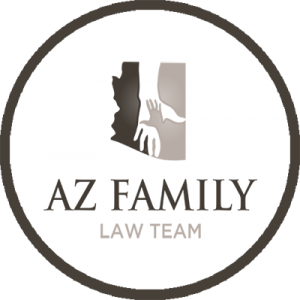 Click here for information on Arizona paternity laws.